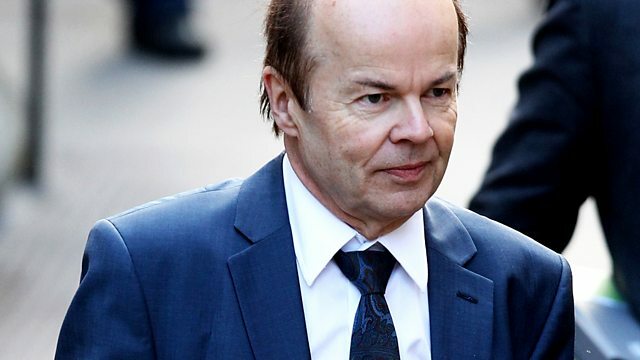 Media news, including the real-life crime drama of Christopher Jefferies; The Times and The Sunday Times turn a profit; and is content on newspaper front pages too explicit? Retired teacher Christopher Jefferies was wrongly named in the press as the suspect accused of the murder of his neighbour Joanna Yeates in December 2010. His life was turned upside down. He later sued several newspapers for libel, received an apology from the police, and gave evidence to the Leveson inquiry. A new ITV two part drama 'The Lost Honour of Christopher Jefferies' is to be aired next week. Steve talks to Christopher about his involvement in the production process and what it's like being the star of a factual crime drama. Times Newspapers, which owns both The Times and The Sunday Times, has delivered a profit for the first time in more than a decade. The News Corp-owned company posted an operating profit of £1.7 million for the year; just 5 years ago, it suffered losses of £72 million. So what's driven such a big turnaround? Steve Hewlett asks Douglas McCabe from Enders Analysis whether this is proof the paywall subscription model is working, or are there other forces at play? Following a decision by two of the UK's leading supermarkets to change the way they display newspapers, after concerns were raised about children being exposed to sexual images, Steve Hewlett discusses the nature of front page tabloid content and whether it should be toned down. Claire Fox, director of the Institute of Ideas, and Stephanie Arai Davies from No More Page 3, join him to talk about whether the message being sent by Tesco and Waitrose - that tabloid front pages are not 'family friendly', is a welcome step towards more respectful representation of women in the media, or a step away from press freedom.